Web Hosting is required to make your website accessible through the internet. There are numerous web hosting companies in Pakistan which provide services pertaining to website hosting, domain registration and web development. You can find many services which offers best and cheap web hosting plans in Pakistan. Most of the website hosting companies are located in Lahore, Karachi, Islamabad but now there are many companies in other cities e.g. Peshawar, Faisalabad, Sargodha, Quetta and Multan too. If you are reading this article, it means you are looking for an affordable and reliable web hosting in Pakistan, it is a bit difficult to find a good host because there are a lot of Web Hosting Companies in Pakistan. The first and most important factor is to know disk space and bandwidth when buying a webhost. If your website will have plenty of videos or graphics and it will get enormous quantity of traffic. Hence you will need unlimited disk space and data transfer limit. But if you are developing a personal website or website for a small business, it will require less disk space and bandwidth. So we have taken technical specifications of web hosting packages as key factor. We have reviewed all popular and well reputed hosting companies. Server’s speed is another important factor. To assess it, we tested the speed of hosting service’s own website. As if the hosting company’s own website is slow, how will they provide good speed to customer’s websites? Google Page Speed Test is used to test speed of any website. A high score in page speed test means the hosting company is good in performance and speed. Reliability and Uptime are vital characteristics to consider once looking around for webhosting. It is difficult to assess customer support service. Because it varies from one representative to the other, we kindly ask you to share your experience of your web host in the comments section. Even if you are a professional web developer, it’s good to understand that customer support is accessible whenever you need it. Following hosting service providers offer customer support through email, phone, ticketing system or on-line chat. Price of anything plays very important role to buy it and same is the case in while buying a web hosting package. So we also keep in mind that we consider packages which offer best value to the money. Web hosting packages differ wildly in price, ranging from a few to thousands of dollars per month. We selected packages which are best under PKR 5000/ year. You should compare the features of each package with the price before making your decision. Billing/ multiple payment options, response time to sales inquiries, server location, Variety in packages are some of the other areas which one should be looking while selecting a web hosting company. I have gathered information from various sources and created a list of Best Web Hosting Companies in Pakistan. It will help you find the Affordable and Reliable Web Hosting Companies in Pakistan to Host your Blog or Website. Internet is full of web hosting companies like GoDaddy, HostGator, Dream Host and thousands of others. Web masters prefer web hosting companies which are reliable and trusted. 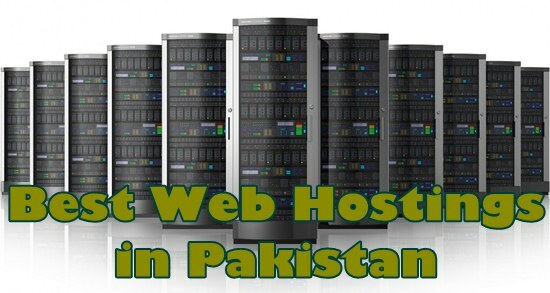 Most of Pakistani webmasters prefer to have an international hosting company as their hosting provider. But if you don’t have credit card to pay on these websites or have any language barrier, it is better to find some good Pakistani website hosting companies, where you do not have to worry about the methods of payment anymore and you can contact them for any query in Urdu. The companies that are going to be mentioned below are top ranked companies in Pakistan, trusted by so many clients and have a positive reputation in the business of web hosting. The list of web hosting companies of Pakistan below is being shared in good faith. We don’t have any links with these companies. Also the web hosting companies keep changing their prices and web hosting plans as per market trends. Far better know how about their latest prices, please visit respective website. Many of these hosting companies also provide Dedicated Servers, Reseller Hosting and VPS Hosting services too. If we have missed any other good Pakistani web hosting company, you are welcome to add it in the comments section below or convey us via contact us page.